My daughter and I travelled to Toronto last week, a little girls getaway (along with educational excursions, of course). When we arrived at our hotel in the very late afternoon (around high tea time), we were delighted to find a lovely plate of cookies waiting in our room. As you know, I wouldn’t even dream of popping one, or several, into my mouth without first knowing the entire list of ingredients. As it turns out half of the cookies on the plate were gluten free almond cookies – yippee! To add to our excitement, the hotel promptly sent up a whole plate of solely the almond cookies, just to make up for tempting us with the first plate that we couldn’t have. Normally a fabulous, small and quiet hotel near the best shopping would be enough for me to count as a noteworthy stay – now add a plate of those amazing cookies delivered to your room every afternoon, I was literally swooning. Once we got home I absolutely had to recreate those cookies. All it took to garner the recipe was a quick email to the Windsor Arms Hotel, they gladly sent me their recipe. I did have to make some adjustments from huge volumes to a family size, that’s all though. With just 3 ingredients, which I usually have on hand, these will be in my cookie rotation for years to come. 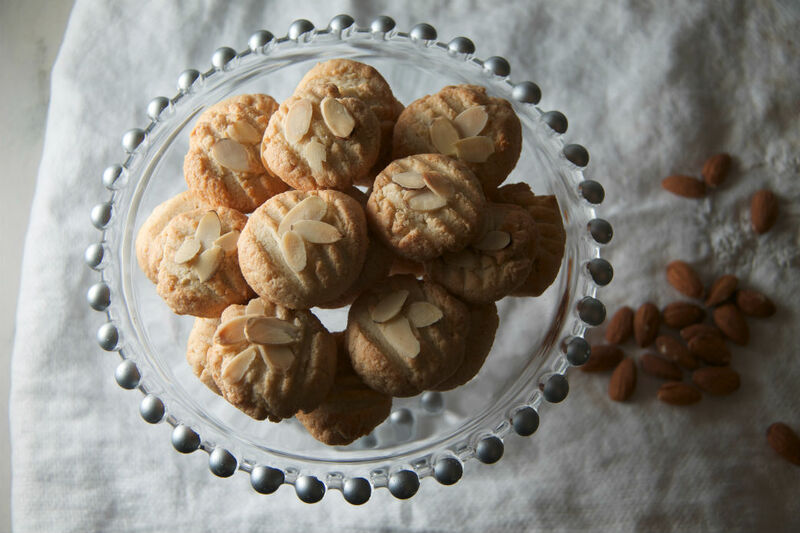 They are slightly crunchy on the outside and satisfyingly chewy on the inside – I think best described they are the Italian cousin of a French Macaron. In a large bowl mix flour and sugar well. In another bowl beat egg white until soft mounds appear. Fold egg whites into flour mixture until well blended. Drop into sheet pan by full teaspoon measure, then flatten with a fork or your fingers. Remove from oven and let cool slightly before eating several. I have seen variations of this recipe with the addition of honey or almond extract. Let me know if you try either and the results. Absolutely delicious looking. A perfect cookie to go with high tea!